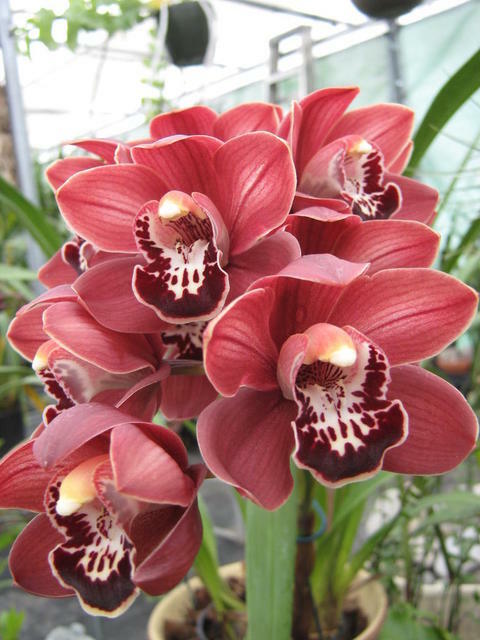 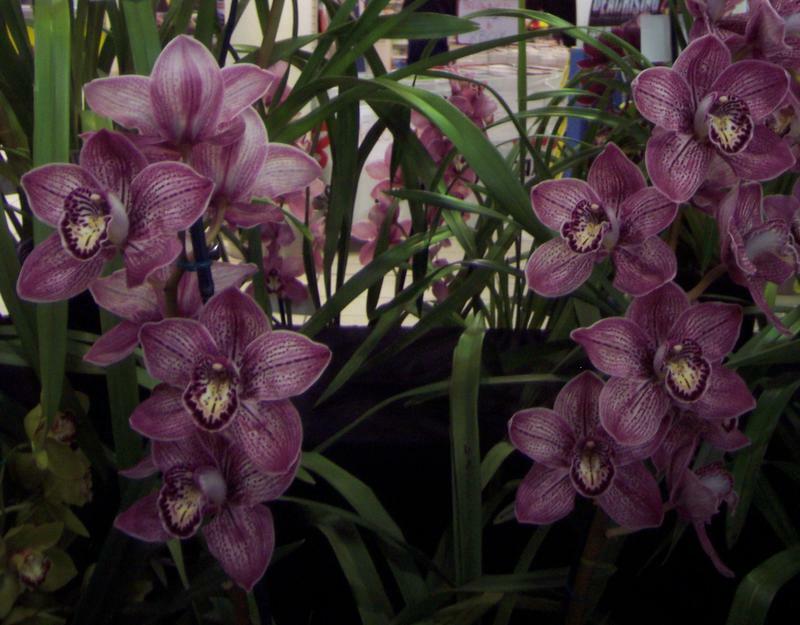 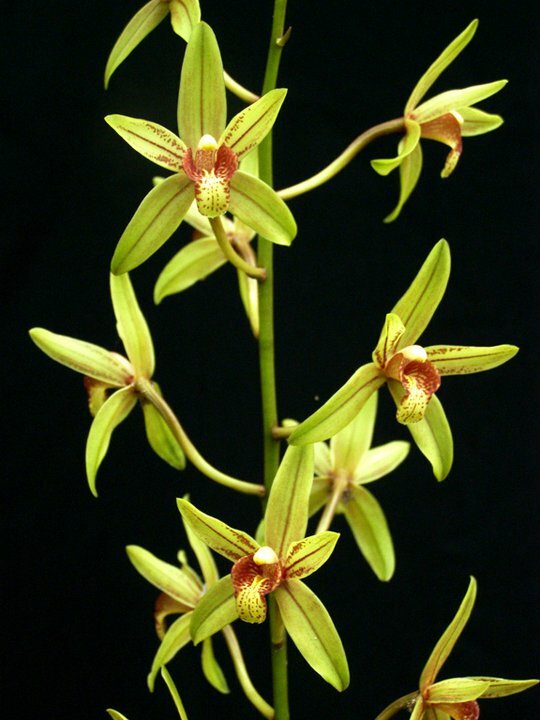 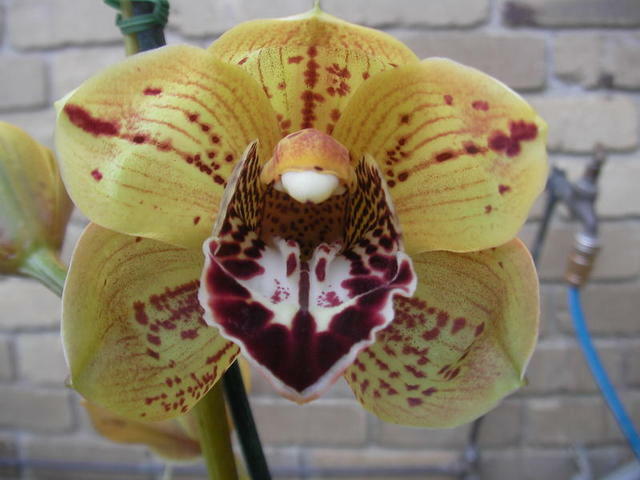 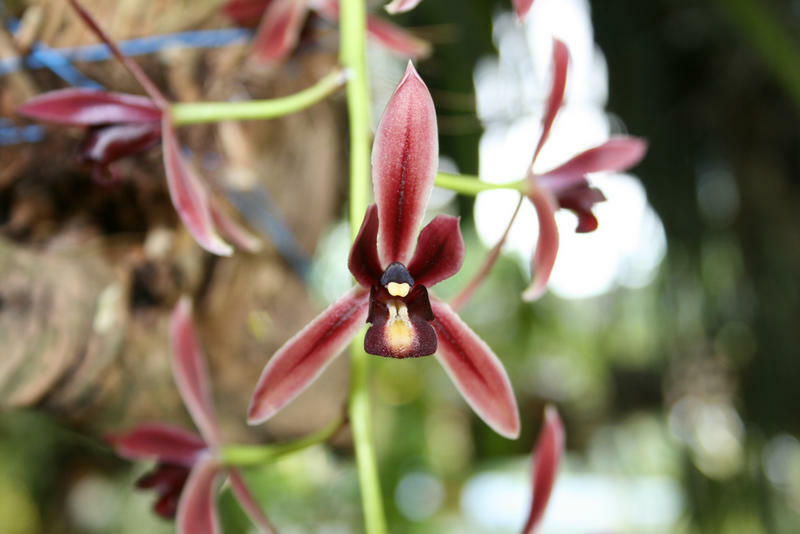 Cymbidiums are very tough plants and can be quite forgiving if their culture is neglected. 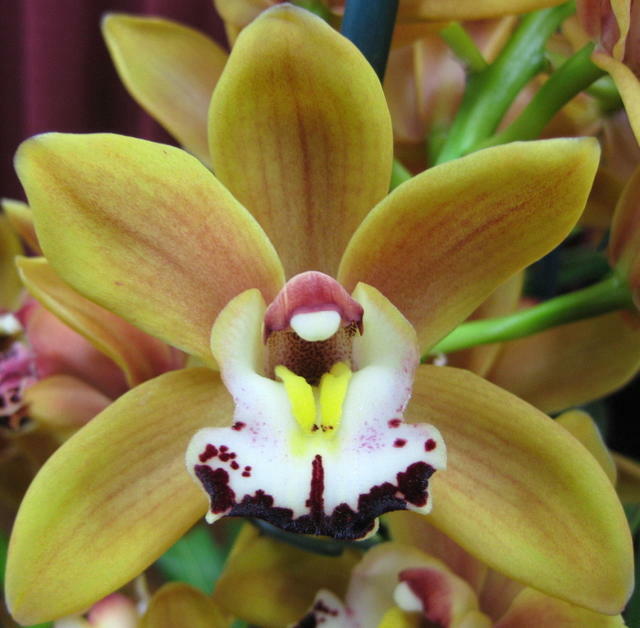 That doesn’t mean you should neglect them but they are very easy to grow. 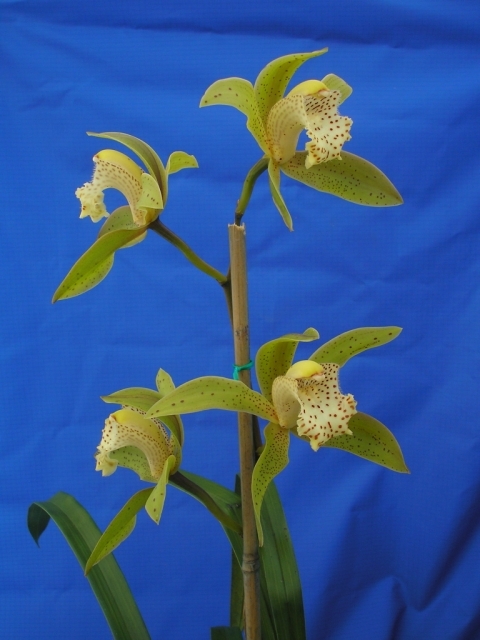 The medium should be a mix of bark, peat and river sand which illustrates the medium is not an open one such as in the case of cattleya medium, They require the mix to be moist but not wet and the root growth can be quite extensive as would be known when the plant has outgrown the pot and needs repotting. 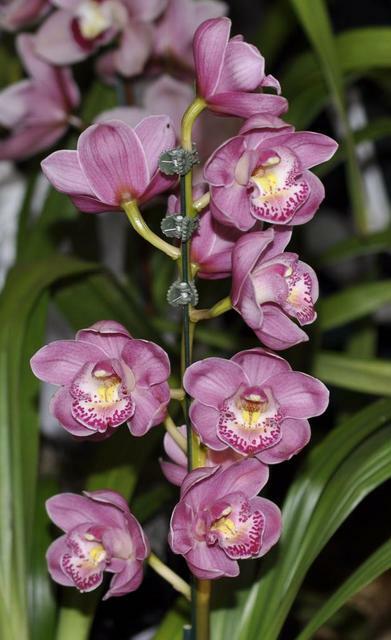 The best time to repot is after flowering ( October ), removing any dead roots and about one third of the length of the roots. 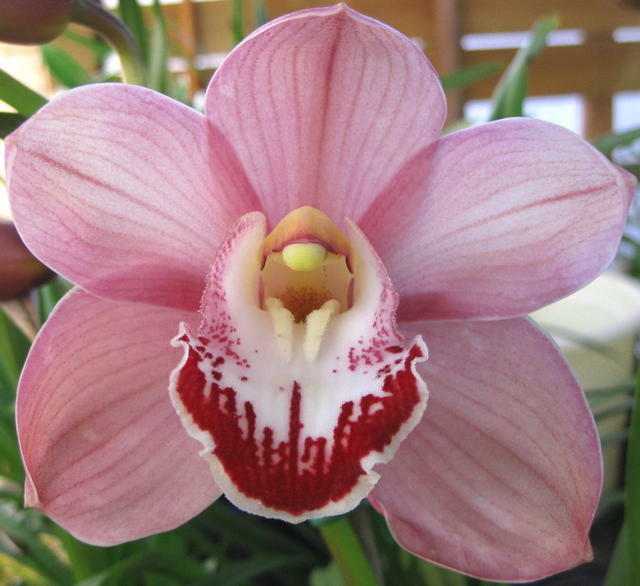 Cymbidiums require good light to flower as in a lot of instances where this is not happening they can refuse to flower. 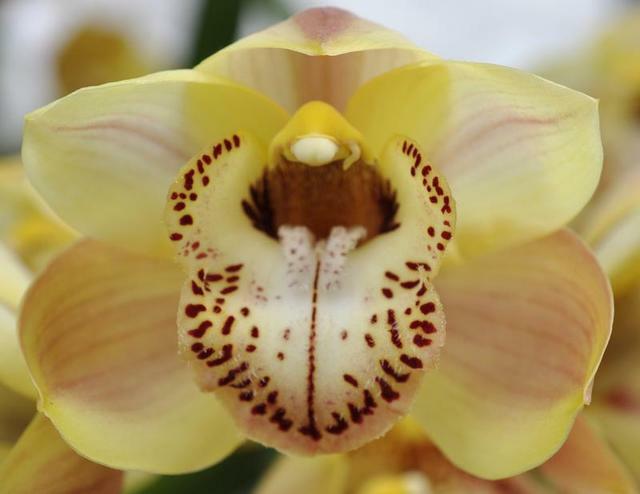 In a humid climate like where we live, unless you are an experienced grower it may be wise not to buy the standard type of cymbidium (the larger flowered type) as these prefer to grow in colder southern areas. 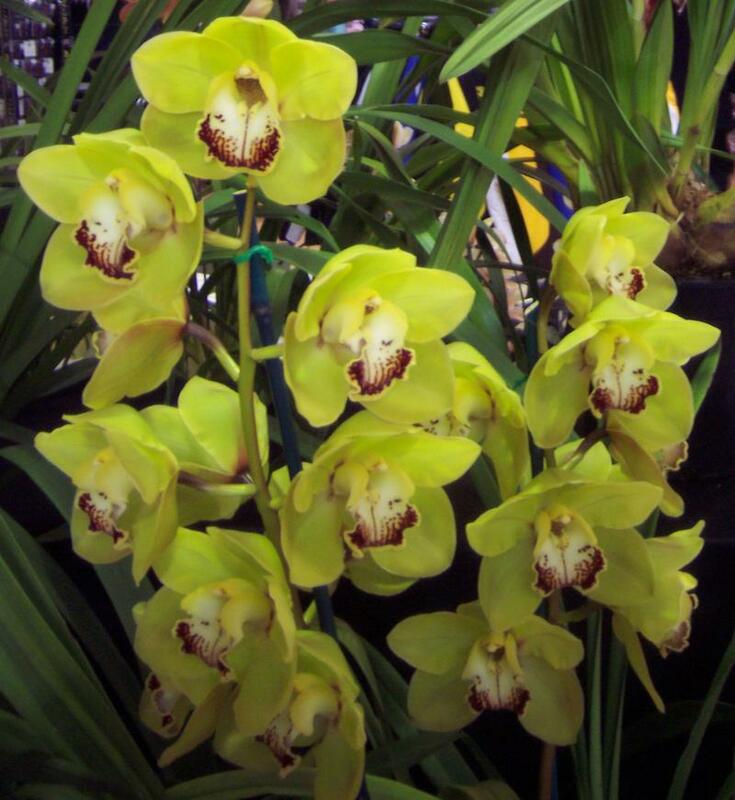 Our subtropical climate and high humidity tends to retard the flowering of these. 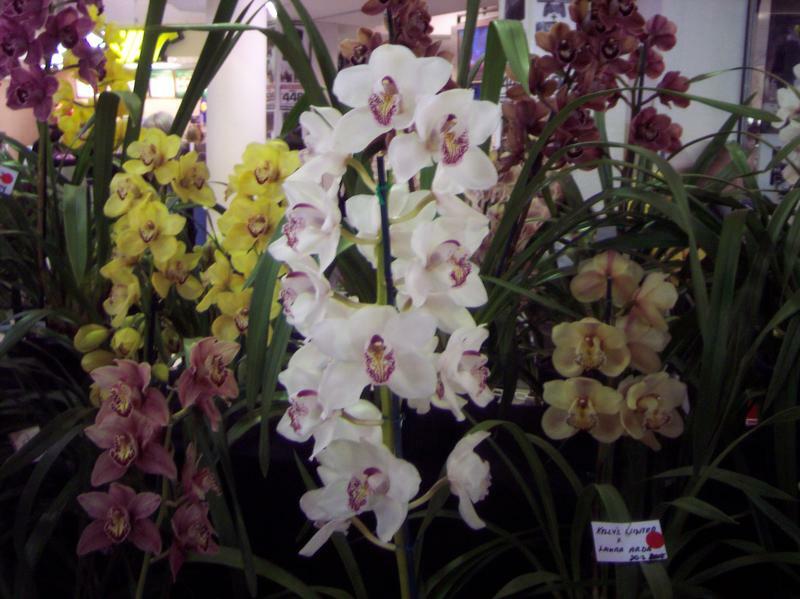 The best ones to purchase are the intermediate and miniature type (smaller flowers) as these do well and regularly flower well each year. 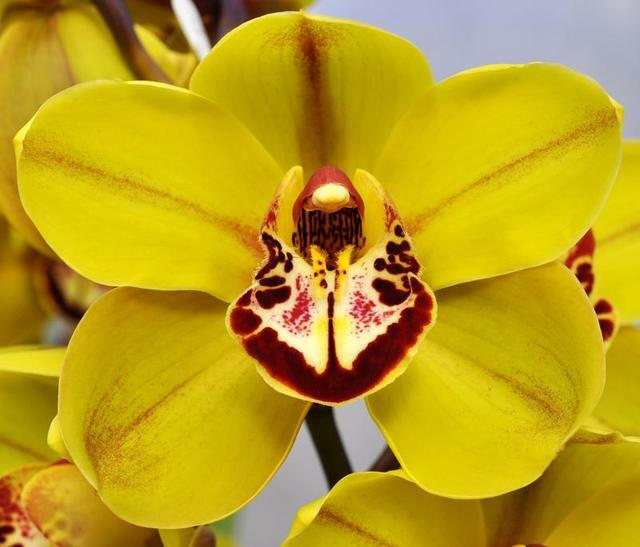 Fertilising should be restricted in the early part of the year for the first two months to allow flower bud development. 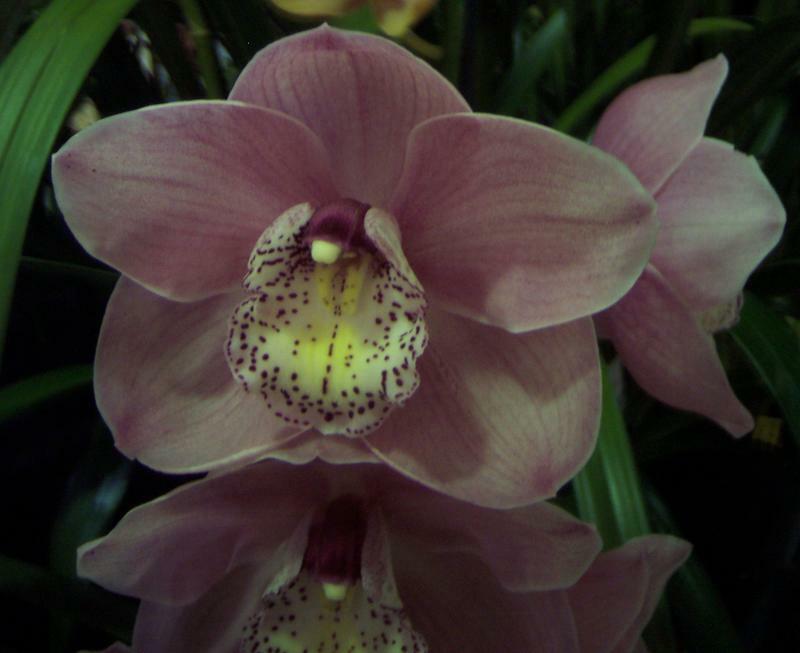 Refer to the General section ( Pest control, Sanitation, repotting and bacterial rot prevention ) for good housekeeping.